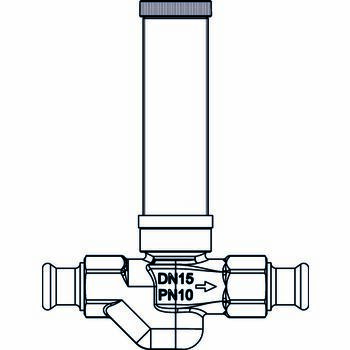 For potable water installations PN 16, straight pattern valve made of bronze, with flush-mounting pipe and protection/operating cap. Without dead zone, non-rising stem, maintenance-free stem seal due to double O-ring made of EPDM. With insulation shells made of EPS according to the Energy Saving Directive (EnEV). Fire protection class B1. 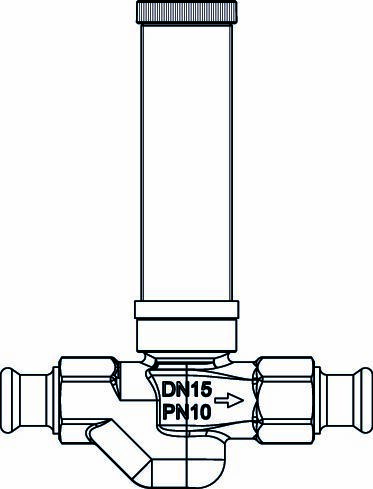 Press connection: For direct connection of copper pipes according to DIN EN 1057 / DVGW GW 392, stainless steel pipes according to DIN EN 10088 / DVGW GW 541. Pressing must be carried out to tighten the connection. 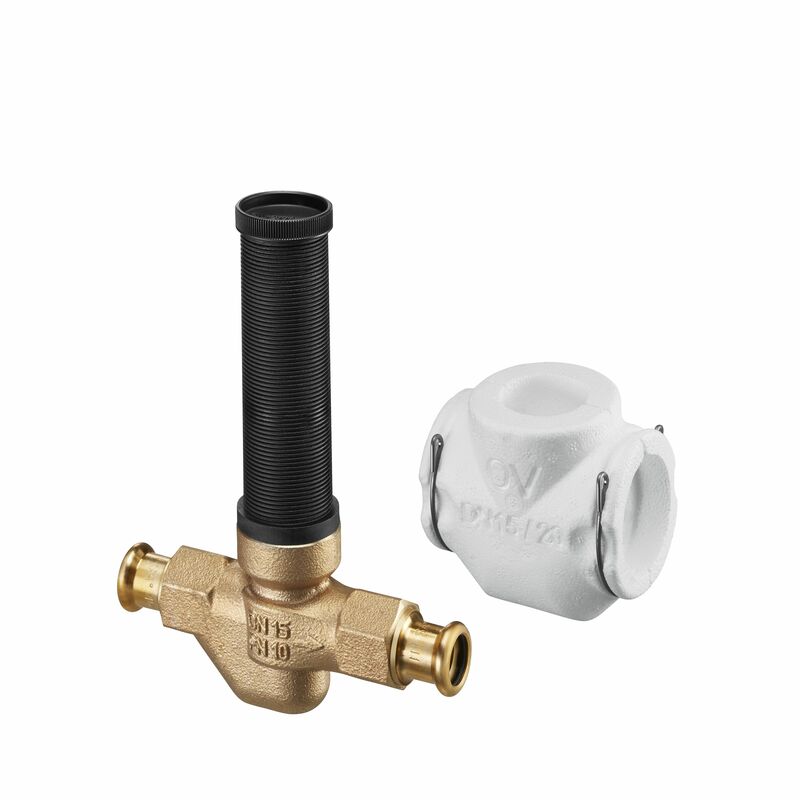 Only use press jaws with the original contours SANHA (SA), Geberit-Mapress (MM) or Viega (Profipress) in corresponding size. Processing must be carried out according to the installation instructions.